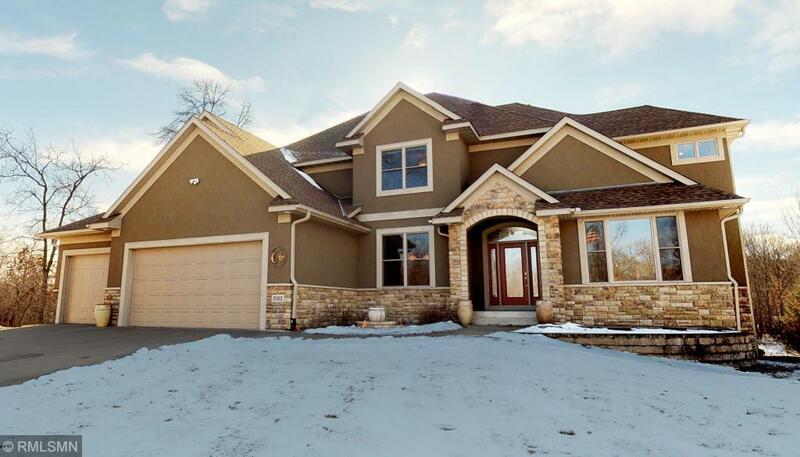 Incredible value in this Homes by James custom built home. This 1.26 acre gem has over 1.2 million into it and is only available due to relocation. Featuring gorgeous cherry woodwork, 3-zone HVAC systems, chef-style gourmet kitchen and a stunning open floor plan. This exquisite design truly makes this one-of-a-kind. Amenities incl. a guest bedroom w/private bath, Jack and Jill bath, pet wash in lower level, heated garage, extensive landscaping and so much more. Check out our 3D virtual tour! Directions - Radisson Road to 133rd E to 134th E to Guadalcanal. Left to home.